Given the ever-growing set of objectives Procurement is expected to support, operating smarter is a must. It is otherwise simply not possible to do so much more without extra resources. A recent study by Forrester involving over 400 participants, entitled Enabling Smarter Procurement, took a deeper look at what is required, the obstacles holding Procurement leaders back and what can be done about them today. Unsurprisingly, when asked what are the highest priorities for Procurement the top answer (67% of respondents) indicated that improving business insight on purchasing activity through reporting and analytics was crucial and needs to be improved. A measly 7% indicated this was not a priority. When asked which innovations would be most valuable to procurement, if available and affordable, the top response (63% ranked among top innovations and 30% as #1) was data and analytics in context to make smarter decisions. So what is keeping Procurement from more informed, strategic decision-making? The top of the list included poor data quality and the related issue of lack of availability of relevant insights. Data was a recurring theme throughout survey responses, with less than half of respondents very confident in their data in any area, and far less when it came to spend or supplier risk data. A long list of specific data issues were flagged, topped by duplicate supplier records, inaccurate data and inability to access relevant data (information overload). Integration between S2P modules and between S2P and backend systems was also highlighted. 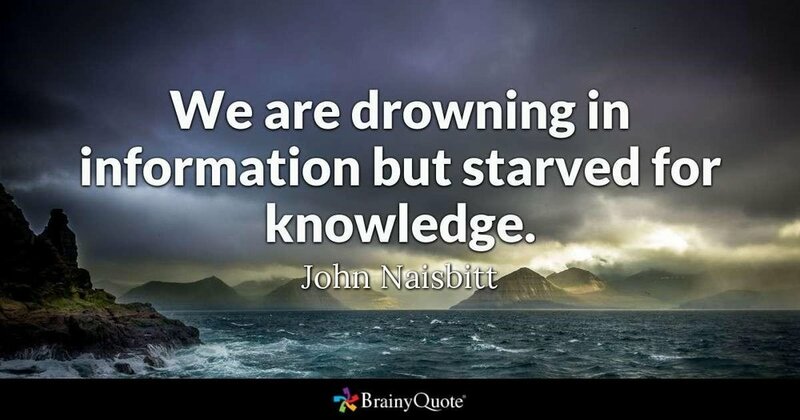 As William Pollard so well stated, “information is a source of learning. But unless it is organized, processed, and available to the right people in a format for decision making, it is a burden, not a benefit.” Data is the fuel that feeds actionable insights and overall informed decision-making. So major problems with data flow through the entire decision-making process. And as the volume of data available continues to increase at exponential rates, the problem will only worsen and your ability to address it weaken if not tackled now. Poor data also limits the impact of innovations such as artificial intelligence (AI), as a robust study from MIT proved. Recent, independent studies have repeated found that even poorly rated AI algorithms fed with quality data outperform strong algorithms leveraging poorer data. So what’s to be done? Many Procurement professionals have come to accept poor data as an inevitability. Clearly a defeatist attitude, but is it true? Fortunately not. Even better, much of what can be done does not even require a unique project or solutions / budget. First, stop producing poor data by digitizing Source to Pay by individual process. By slicing up your Procurement Process you end up duplicating data. In the past, many companies debated between best of breed, with disparate solutions from different providers, or an integrated suite from one provider. Today, capabilities of leading suite providers are on par with niche providers in many cases so this tradeoff is no longer necessary. Furthermore, be careful in what various providers mean by integration. As vendors have rushed to fill their suites, many offer integration only at the workflow level, eventually getting to a consistent UI. Unfortunately, that won’t solve the data issue. Integration must exist at the data level, with a fully unified data model. That means, to take one prime example, a single supplier record across the entire S2P process. In practice, this means you can run a true supplier 360 report and see what you are spending, what contracts are in place, what orders you have made and invoice/payment status, without having to run separate reports or search for different supplier records. With a unified data model, new activity generates clean data that can be used for effective reporting. Improving data capture helps new information in those systems, but does not fix existing data issues or those in back end systems. Here, some extra work is unfortunately required, but it is well worth it. Look to master data management (MDM) solutions. If available within existing suites as add-ons, this simplifies the effort. MDM solutions can tie together your disparate back end systems, normalizing data and linking records so you can improve visibility and position yourself to better gain from AI innovations. Whirlpool is an example of a company tackling this well, using vendor master management to integrate vendor data in S2P with 23 backend systems and actually clean supplier records in those systems. A holistic approach to both fixing existing issues and digitizing to improve new data quality, Procurement leaders can empower their teams to operate smarter and ultimately achieve their objectives. Its not easy, but by making this part of evaluation criteria for existing initiatives, you can make it manageable. About Ivalua: Ivalua is recognized as a leader by Gartner, Forrester and Spend Matters. It offers an Integrated Source-to-Pay suite for both direct as indirect spend that has unique capabilities in data management and is built from the ground up on a single platform. Ivalua has over 250 customers worldwide and has an industry leading customer retention rate of 98%.